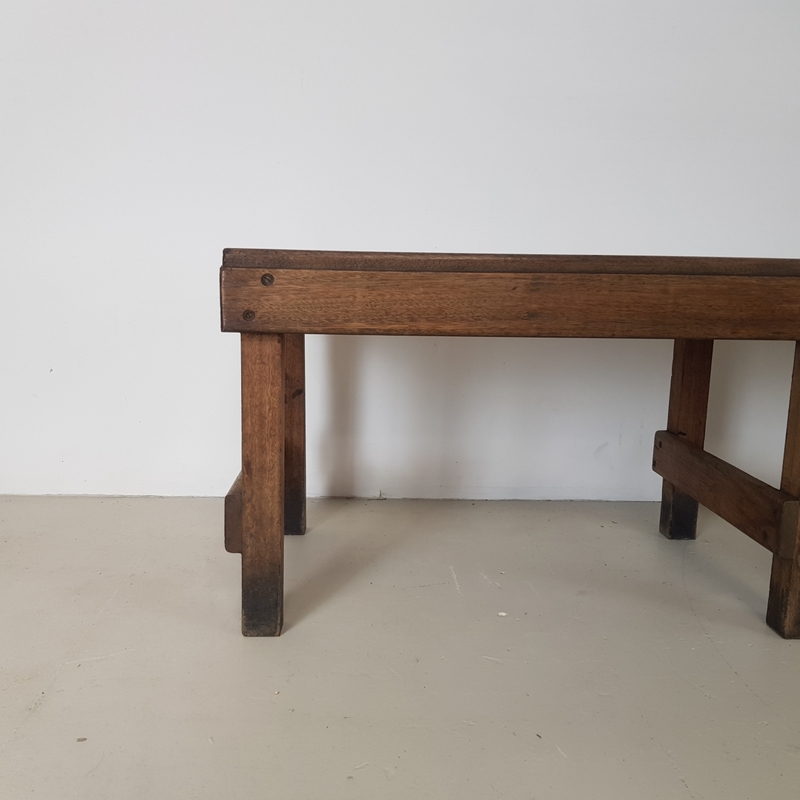 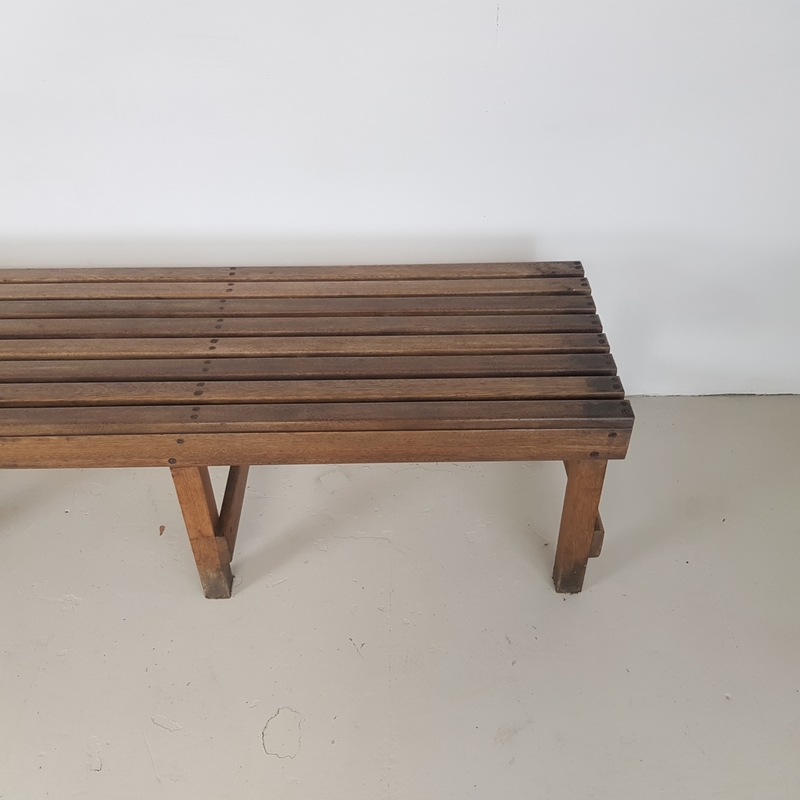 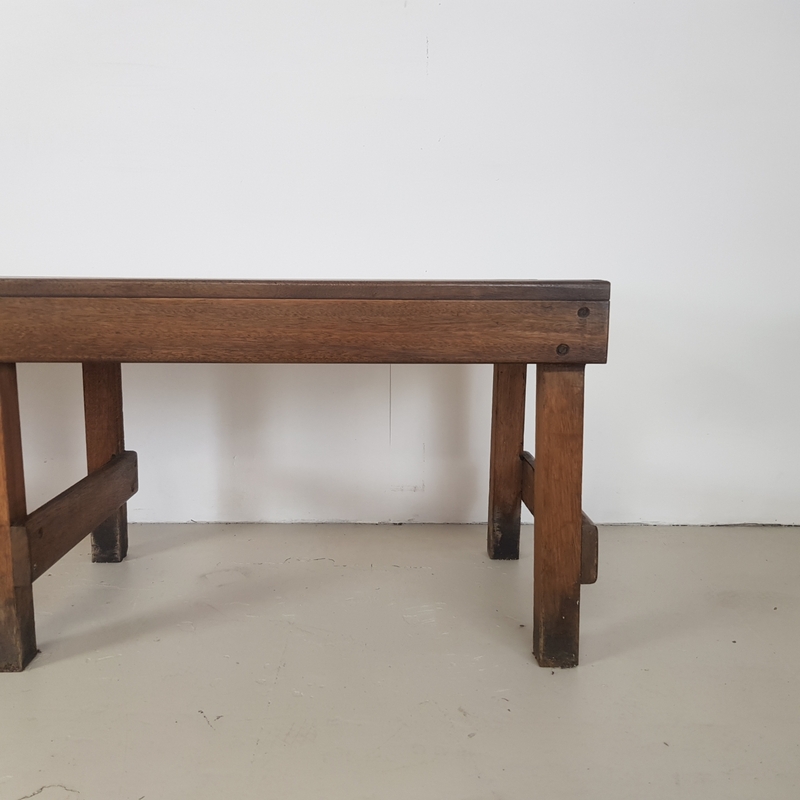 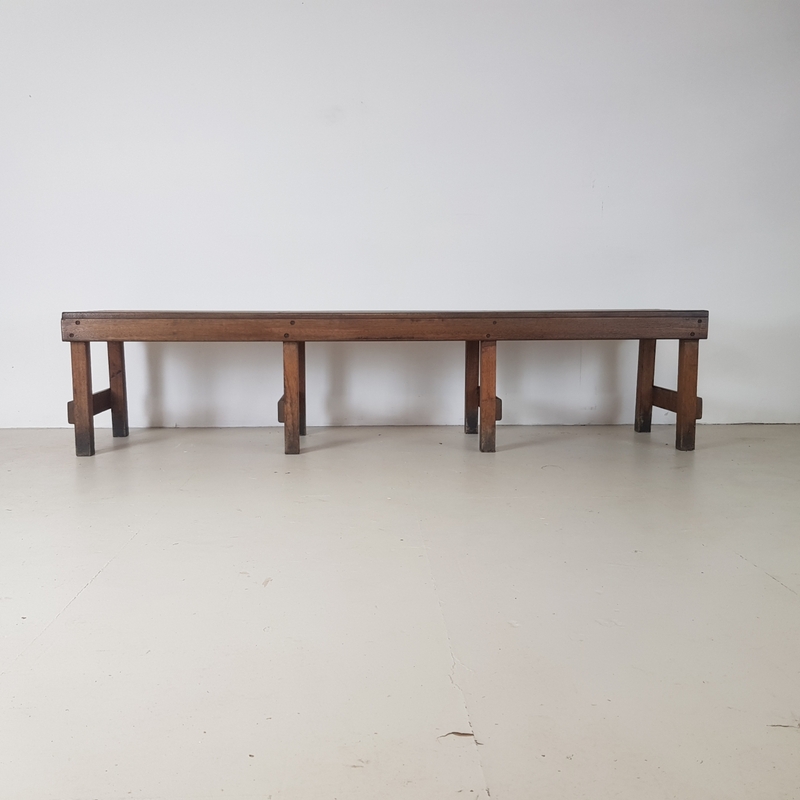 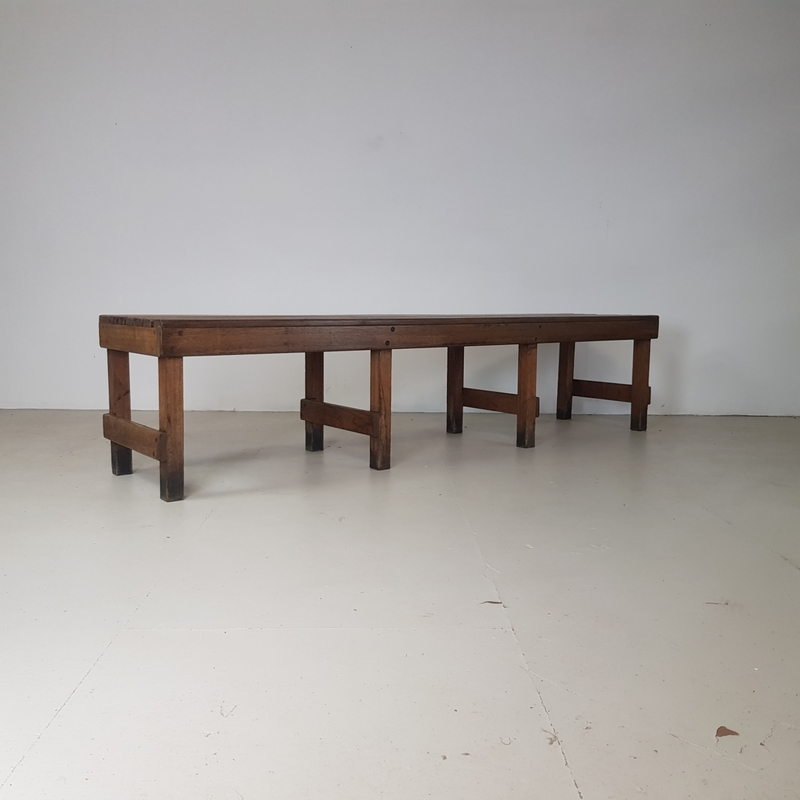 Vintage industrial long old school / gym wooden slatted bench. 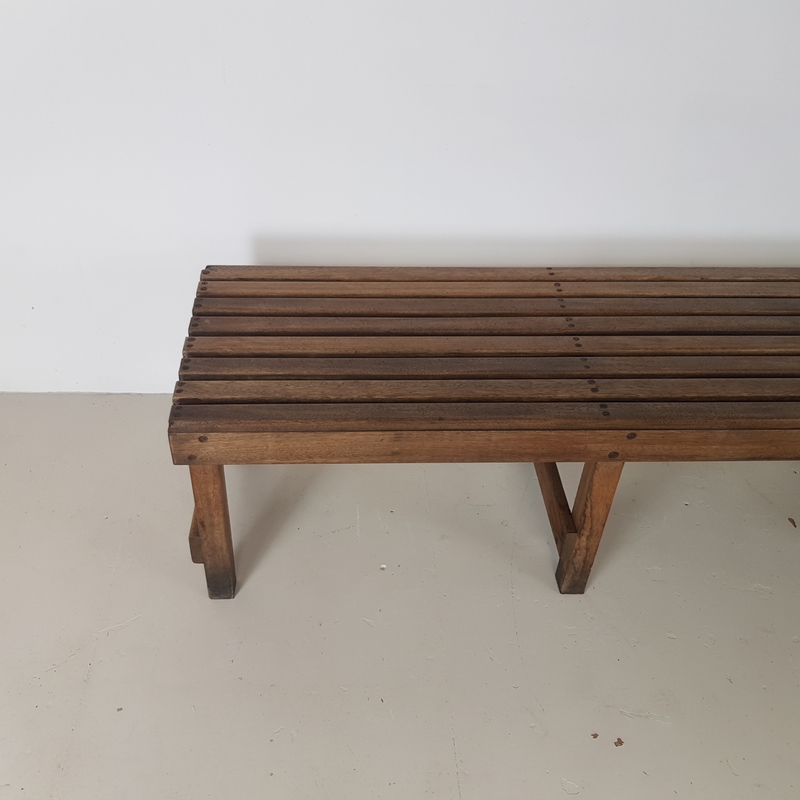 There are signs of wear and tear, to be expected in a vintage item - a few scratches, scuffs, bumps, but nothing major and nothing which detracts. 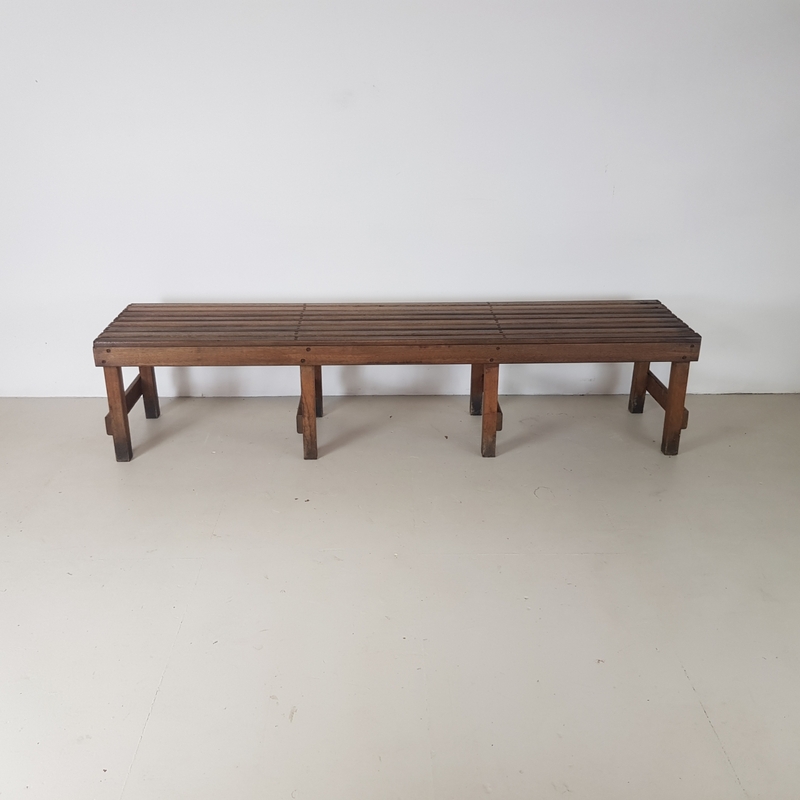 Great in a hallway, kitchen, playroom, a highly useful seating item.